Urban Clothing and footwear for sale online. Privileged Black Alive Lace Up Bootie and more. Privileged Black Alive Lace Up Bootie. 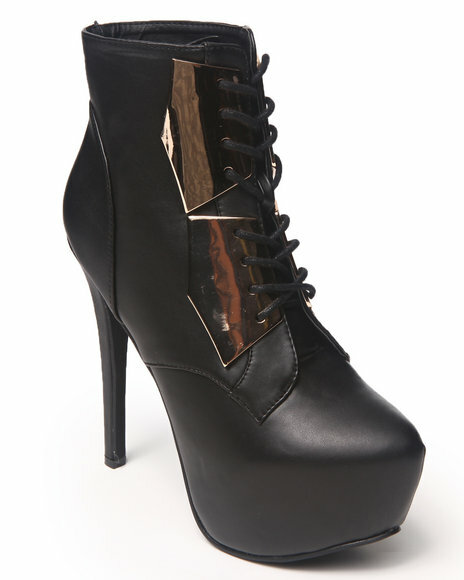 Privileged Black Revolt Caged Tall Platform Boot. Privileged Gold,Black Belong Pump W/Gold Detail. Privileged Teal Revolt Caged Tall Platform Boot. More Privileged Styles at Dr Jays Hip Hop Clothing and Footwear for men, women, and kids.